Audisee® eBooks with Audio combine professional narration and text highlighting to engage reluctant readers! Many plants depend on animals to help move pollen around so that the plants can reproduce. 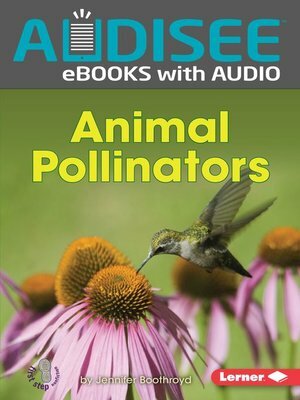 Readers will see how hummingbirds, mice, bats, and other animals play a big role in pollination. Simple text and supportive photos and diagrams help readers understand key ideas and details about this important science concept.